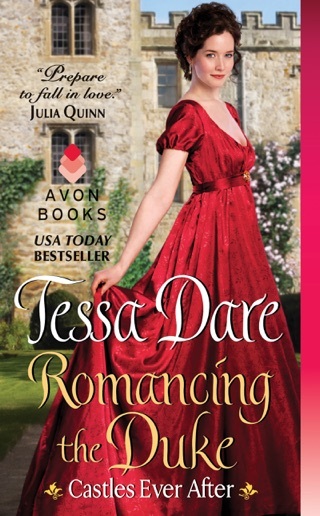 In Dare's sizzling second Girl Meets Duke Regency (after The Duchess Deal), a young woman discovers that her romantic fantasies about a handsome rake are vastly different from the reality of him. After bumping into the effortlessly charming man of her dreams in a bookstore, Alexandra Mountbatten meets him again when calling at his London home, offering to set his clocks. Chase Reynaud mistakenly believes that Alex has come to apply for the position of governess to his two precocious wards, Daisy and Rosamund and she needs a job, so she plays along. The witty banter of the misunderstanding is the perfect prelude for their future encounters. Chase professes himself a confirmed rake who refuses to marry as self-punishment for his past actions, but Alex sees through Chase's callous fa ade to the kind and generous man inside. Even as she tries to convince him that he deserves happiness, she knows that he must marry someone of suitable rank, which excludes her. Alex is an intelligent, independent heroine who is the perfect match for Chase, whose hardened heart softens as Alex reveals how much she cares for him. Sensuality and witty repartee fill the pages of this fast-paced story, which is made complete by the expertly developed characters and hints at future installments. But an original story in plot and character make up that makes Tessa Dare’s books a reliable bet for an entertaining read. Does not disappoint. Another perfect book from Tessa Dare. Highly recommend!!! !